Crabby Bill's is a Florida beach bar located in St. Pete Beach. Discover this great Florida beach bar. Hours: 11:30 a.m. to 11:00 p.m.
Crabby Bill's is located right on St. Pete Beach. This charming and rustic restaurant has a great little tiki bar overlooking St. Pete beach on the roof. 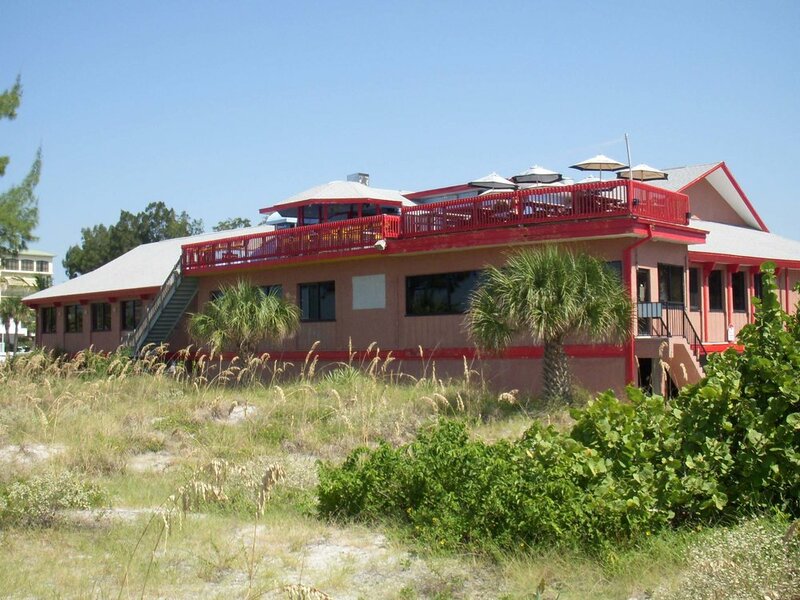 Climb the stairs to the rooftop tiki bar, and enjoy your cocktail while watching the sunset at this Florida beach bar. For the past 25 years, Crabby Bill's has been serving the freshest seafood around. All these years later, Crabby Bill's is still family run and run with the highest of standards. Of course, crab is highly recommended. If you are spending the day on St. Pete Beach, you can just walk up from the beach and order some food and drink, kick back and relax. Crabby Bill's is a great little Florida beach bar that you should check out. Without live entertainment, Crabby Bill's could be considered more a restaurant than a Florida beach bar. 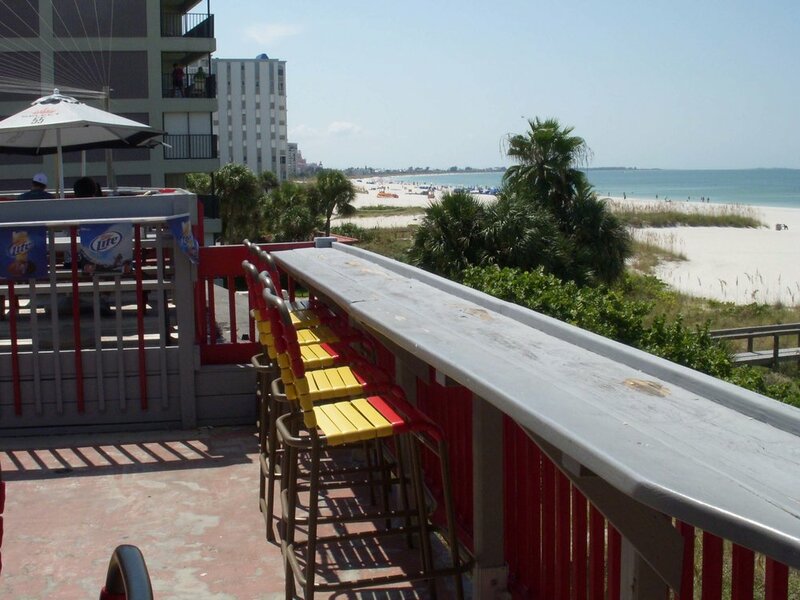 However, with the fabulous location and the upstairs rooftop bar, this Florida beach bar is a great place to relax with a refreshing cocktail and to watch the sunset. Happy hour is from 11:00 a.m. to 7:00 p.m. every day of the week.